Phyu is a young woman from Burma who needs $1,500 to fund heart surgery. Phyu is a 23-year-old woman from Burma. She lives with her husband in Mingalar Done, Yangon City, Yangon Division. Phyu’s husband is a motorbike taxi driver. Phyu was diagnosed with a heart condition that involves a malformation of the mitral valve, the valve between the left atrium and left ventricle. This valve controls the flow of blood, but certain conditions may cause blood to flow backward or the valve to narrow. Currently, Phyu experiences shortness of breath and cannot walk long distances. Our medical partner, Burma Children Medical Fund, is requesting $1,500 to fund a mitral valve replacement for Phyu. The treatment is scheduled to take place on February 14 and, once completed, will hopefully allow her to live more comfortably. Phyu's case was submitted by Bue Wah Say at Burma Children Medical Fund in Burma. Phyu was submitted by Bue Wah Say, Project Officer at Burma Children Medical Fund, our medical partner in Burma. 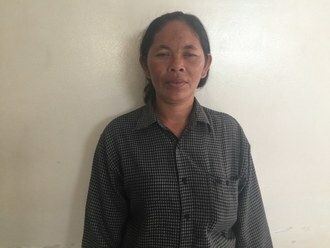 Phyu's profile was published to start raising funds. Phyu was scheduled to receive treatment at Lampang Hospital. Medical partners often provide care to patients accepted by Watsi before those patients are fully funded, operating under the guarantee that the cost of care will be paid for by donors. 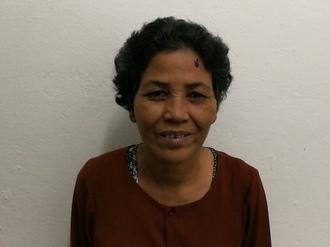 Phyu is currently raising funds for her treatment. Awaiting Phyu's treatment update from Burma Children Medical Fund.